OTC trading refers to transactions of investment assets such as equities, bonds and derivatives done directly between two parties without the supervision of an exchange. OTC trading in traditional financial markets involves shares of unlisted companies typically; the bond OTC market is intended to link dealers with traders. The digital asset OTC market enables brokers to earn transaction fees by connecting buyers and sellers like the bond OTC market. Crypto exchanges both at home and abroad are eager to dominate the OTC market. Such high-ranked exchanges as Huobi and Kraken are also supporting OTC trading and Binance has announced a plan to enter the OTC market. 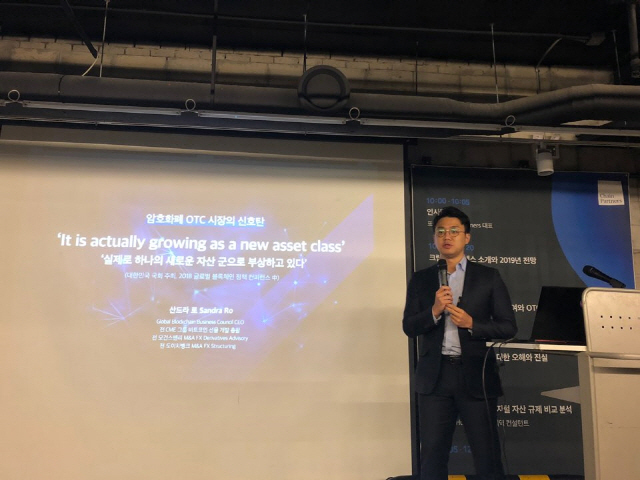 “The crypto OTC market is emerging as a new business for exchanges,” Lee said. He also forecast that the crypto custody market would make big strides. Lee took note of the fact that BitGo, which had received investments from Goldman Sachs and Galaxy Digital, and Coinbase and Fidelity are jumping into the custody market. “The custody market is in the spotlight in terms of stability and efficiency thanks to its function to prevent the loss of crypto assets and the risk of exposure. Demand in the custody market is rising on the back of institutions’ participation in the market,” he said. Lee also expressed optimism about the custody service, saying institutional investors prefer to invest stably.